Dull, lifeless plod in the main... come on guys, you can do better than this! 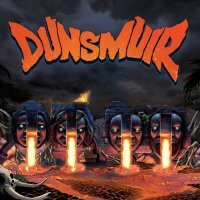 With a name that conjures up images of some obscure Scottish third division football part-timers, Dunsmuir probably wouldn't be the first band you'd be eager to explore further if it appeared on the front cover of your favourite Rock mag. However, despite an equally naff logo to go with it, the cover artwork that adorns their eponymous debut is actually quite striking, and as such, initial hesitations start to dissipate a little. 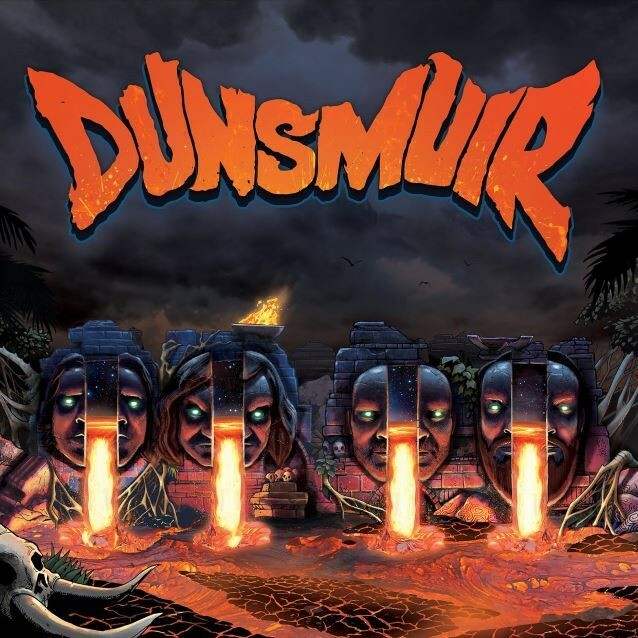 It's when you begin to delve a little further though that the real surprise comes as Dunsmuir boasts some fairly heavy weight names in its ranks; drumming legend Vinnie Appice for starters, not to mention Clutch front-man Neil Fallon and rounded out by Fu Manchu bassist Brad Davis and The Company Band guitarist Dave Bone. You're probably now thinking of some seriously heavy duty old-school Metal... and to an extent, you'd be right. As a wet behind the ears teen when the NWOBHM first hit, I've always had a soft spot for brash, angst-ridden rifferama (which is why this probably came my way), but much as I try, there's actually very little about 'Dunsmuir' that gets me even remotely excited. It's dull, largely one dimensional take on Classic Metal is neither Black Sabbath nor Judas Priest (not even close); its fuzzy sound and decidedly lacklustre (let alone melody light) tunes offering nothing you haven't heard a million times before over the years, more often than not done better I'm afraid to say.